Relax and indulge in the culinary delights CURBside at Outlet Collection at Niagara. 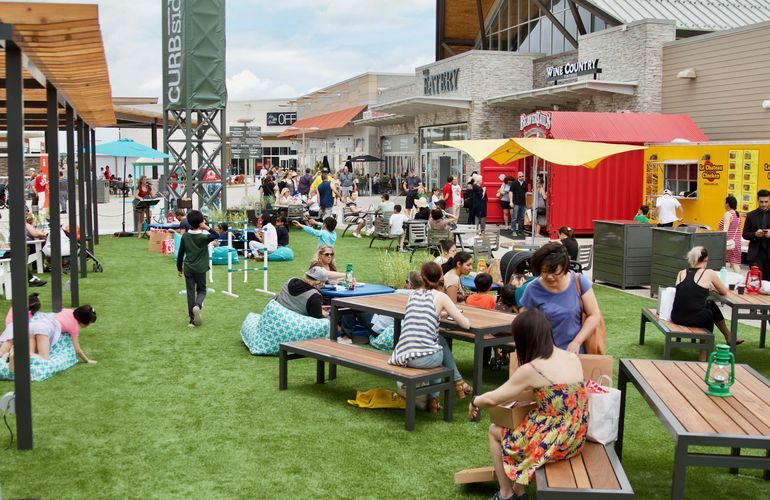 Located next to The Eatery, CURBside is home to a variety of food and beverage vendors offering our shoppers a space to eat, drink, play, relax and connect. Stay tuned for list of our 2019 vendors! CURBSIDE is Outlet Collection at Niagara's latest addition, and we can't wait for you to visit! Located next to The Eatery, this space is home to a variety of food and beverage vendors and offers our shoppers a space to eat, drink, play, relax and connect. 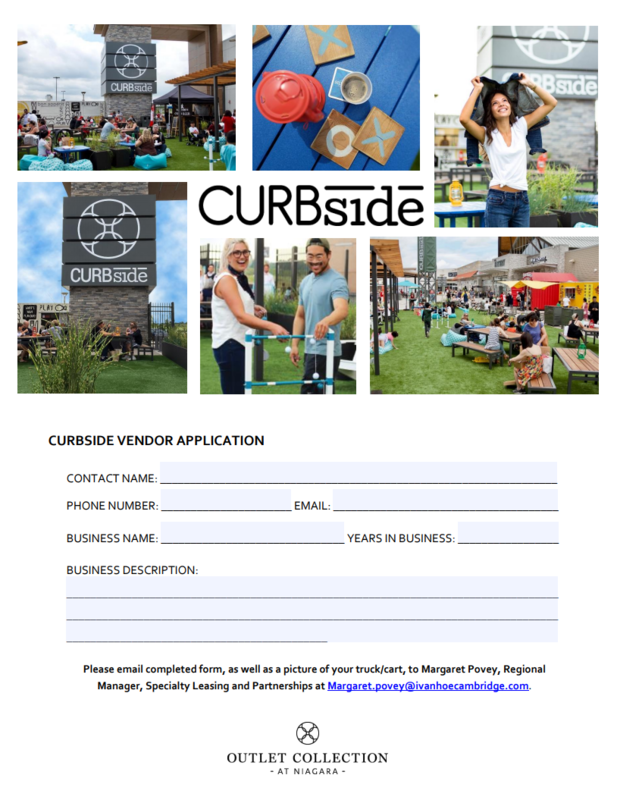 Want to be a part of Curbside? CURBside is the ideal venue for an al fresco feast. Consumers are looking to try something new and exciting, so park your food truck or rent our shipping container and give your guests a taste of what you’re serving up. Food, wine, beer, spirits and so much more! Interested vendors are asked to fill out our Vendor Application and email it to Margaret Povey, Regional Manager, Specialty Leasing & Partnerships at [email protected].